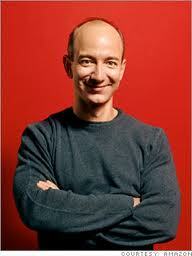 Jeffrey Preston Bezos started his entrepreneurial journey in 1995 when he founded Amazon.com as an online bookstore. The company that literally started its journey from his garage touched the pinnacle of success with his adventurous mind and innovative heart. In less than 4 years, Bezos was featured on TIME Magazine as the Person of the Year. He was born in Albuquerque, New Mexico to a teenage mother whose marriage lasted just over a year. She remarried when Bezos was about four. From the early childhood he had remarkable mechanical aptitude, and had various scientific interests. He spent his early childhood with his grandfather at Cotulla (a city in La Salle County, Texas) where they had 25,000-acre ranch. Bezos converted his parents’ garage into a laboratory and did several science projects of his interests. Later, he moved to Miami, Florida with his family and there he fell in love with computers. On completion of his high school from Miami Palmetto Senior High School, he attended Princeton University to study physics, but later he changed his mind and graduated with a degree in computer science and electrical engineering. On completion of his studies, he worked for a company called Fitel, where he developed networking system for international trade. He later worked for Bankers Trust and for D. E. Shaw & Co. as a financial analyst prior to founding Amazon in 1994. The idea of building Amazon, an electronic commerce company, came in his mind while on a cross-country drive from New York to Seattle. It was then he sat alone and analyzed how the internet was going the change the way the world shops. He foresaw the opportunity of exploring new sphere of business and he started finding the possibilities to reach limitless number of people across the world. In the meantime, he visited the American Booksellers’ Convention in Los Angeles where he thought of doing book business. He saw that the book wholesalers had massive electronic lists of their inventory but with no single platform where public could directly find out the available books, order them and get them delivered at their addresses. The venture, back in those days, was difficult for him because people around could hardly believe on the viability of such electronic shop; and therefore he had to decide to plunge alone without financial supports or continue what he was doing-a secured job and a respected position. He chose the first and wrote a business plan with his wife and started the company from their garage. In 1995, he launched his site and spread the world through his 300 beta testers. 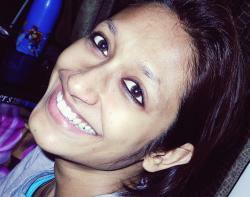 Within 30 days his site Amazon could sell books in 50 states and 45 foreign countries. The site started expanding at the rate that he had never imagined. The company went public in 1997 and sales started mounting by every week. Two years later, Amazon’s share value became bigger than its two biggest retail competitors combined, they handled greater deals from its heavy Internet traffic. Jeff Bezos continues to revolutionize people’s online shopping experience. In 2008, he was called one of America’s best leaders by U.S. News & World Report, and in the same year he was also awarded an honorary doctorate in Science and Technology from Carnegie Mellon University. In 2011, he along with Gregg Zehr received an Innovation Award for the Amazon Kindle by The Economist. According to Forbes, as of September 2012, Jeff Bezos’ net worth stands at $23.2 billion.